Wireless USB technology has always excited me, with all the possibilities it offers. Wireless printing, scanning, remote data access through a hub in another room. 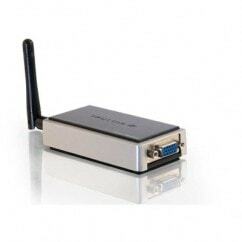 Another potential use for the technology is to transmit audio and video data to nearby monitors for wireless access to your computer, and that’s exactly what the TruLink Wireless USB to VGA Adaptor does. Kind of. You see, being USB to VGA (VGA being the key term here), it’s incapable of transmitting any audio signals to a monitor or television, only video. Unfortunately this problem cannot be overcome either; VGA was designed only for transmitting video, like a DVI cable does. Another, separate cable would be required for audio transmission, and unfortunately there’s no sign of one from the TruLink folks in this package. Still, being the completely unbiased writer that I am, everything deserves a fair review, and that’s exactly what I’m going to give this piece of kit. It may not transmit audio data, but it does transmit video, and fairly well too. Setup is a tolerably simple process, at least on a Windows based computer anyway – the adaptor isn’t compatible with Mac or Linux based machines, so you’re out of luck if you’re part of the 10% not using Windows. Simply insert the USB adaptor in to your computer, and it will be recognised like any other USB device is. Follow a few prompts and you’re up and running, ready to rock with a wireless video connection. To transmit the connection over to a monitor, you simply need to plug in the VGA connector and click a few buttons in Windows to make sure everything is configured the way you want it to be. The adaptor works in a 30 foot range, although I found that the connection was sometimes dropped if I was even 20 to 25 feet away from the monitor. For best results, I’d make sure you are relatively close to the monitor or TV you’re transmitting to. When the connection was strong, the picture quality on the monitor was surprisingly good. I was working with a resolution of 1680 x 1050, and everything looked crisp enough to read comfortably. Essentially, the USB to VGA wireless adaptor does its job well. 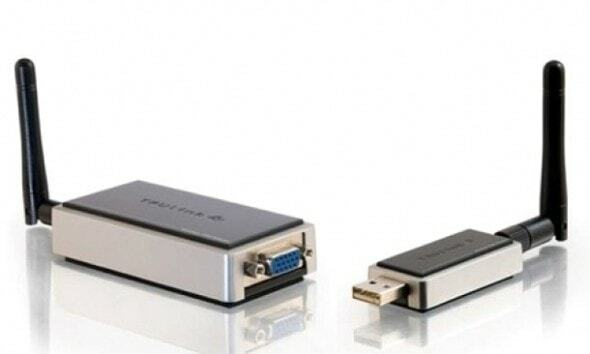 It transmits video data that looks clear over short distances, but one still has to question the usefulness of a video only adaptor in a world filled with HDMI and media content on every click of the internet and if that’s the case then you’d probably be better off looking at the TruLink Wireless HDMI Kit. Considering the high price point of the TruLink Wireless USB to VGA Adaptor I would struggle to recommend it to someone who hasn’t got enough cash to wage a small war, but if you are looking for a device that transmits video content – and only video content – over the air, then you may wish to take a closer look.